Embark on a bewitching journey into Moorish culture. 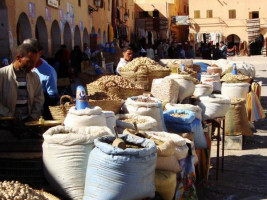 From lively Mediterranean fishing ports to bustling colonial cities and powerful religious heritage sites, Algeria is a fascinating melting pot. The maze of traditional white-washed houses are a photographers dream and you won’t forget a full body pummelling- sorry, I mean massage- in one of the rejuvenating hammams, a traditional North African spa. Feel the legacy of the Silk Road trade routes as you barter with merchants in vibrant souks and sip untold cups of fresh mint tea, as is the custom here! An Unexplored North African Wonder. The casbah in the capital city of Algiers is a UNESCO world heritage site and an interesting look into the structure of North African cities. Rolls off the tongue nicely don’t you think? “Algeeeeres”! 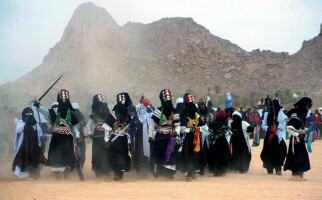 The city of Oran, one of North Africa’s liveliest trading ports, is tinged with a distinctly French flavour, while the striking Grand Mosque at Tlemcen is a bold reminder of Islam’s dominance in today's Algeria.The grandest spectacle of all is the mighty Sahara with its myths and legends, cool date palm oases, mountain vistas and Bedouin tribes who continue to live a traditional nomadic life. The grandest spectacle of all is the mighty Sahara with its myths and legends, cool date palm oases, mountain vistas and Bedouin tribes who continue to live a traditional nomadic life. 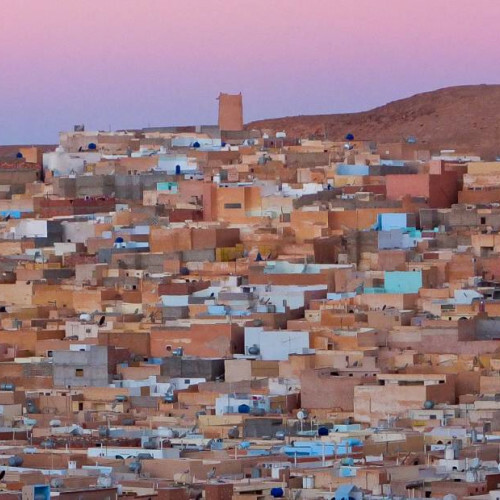 To wrap your head around all of this, one trip will surely not suffice so it’s great to see that Algeria has emerged from a troubled past as is firmly back on the map for intrepid travellers. A fascinating cultural melting pot for the adventurous traveller. A diverse journey from desert tribes to lively fishing ports. Taste the real thing and you’ll never buy peppermint tea bags again!